We have a largely vegetarian diet and one of the easiest and quickest meals to put together is Black Bean Burritos. 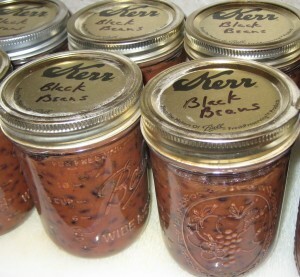 When we lived in Hawai’i a can of black beans, or anything canned, was quite expensive compared to the mainland. Plus, all the trash on the islands has to be hauled away somewhere and the tin cans are not good for the environment. So, I decided I would just can my own and save a lot of money and the environment. It is also much quicker to put the burritos together when the beans are mostly prepared. This recipe is how I season mine. Be creative and add what you like. I get a selection of whatever peppers are in season. I get poblanos, anaheims or even now the Hatch chili’s when in season. I roast these and remove the skins and seeds. 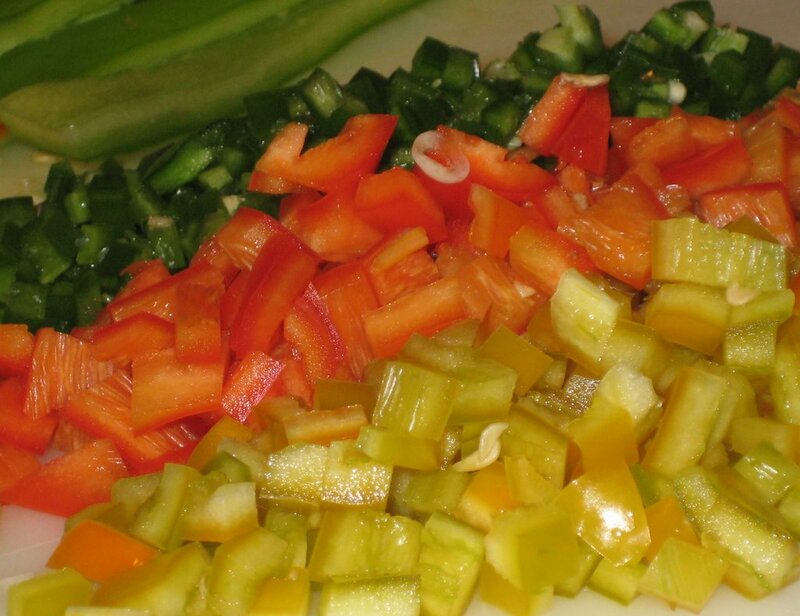 I also add jalapenos and serranos. I like my food spicy. Adding the chipotle in adobo sauce adds a good roasted spicy flavor. I make my own Essence from Emeril’s recipe. I think the variety of peppers are the key to making this a really good dish. We like corn in our black beans because they add a nice sweet flavor in the middle of all the beans and spice. I made the mistake of adding the corn before canning and while my cans sealed they popped after several days. I actually made this mistake twice and threw away a lot of black beans. The first time I thought I didn’t process them enough in the water bath. The second time I processed them for 20 minutes. But, I then learned that corn is so low in acid that even with the small amount in the beans it puts off a gas and the jars pop. If you have a pressure canner, I don’t, and can using it you can add the corn and follow the pressure canner directions. Now, I just add my frozen corn when I heat my beans up for dinner. I also use these beans in a Mexican style casserole. I get the fresh tortillas from the refrigerated section at Costco. 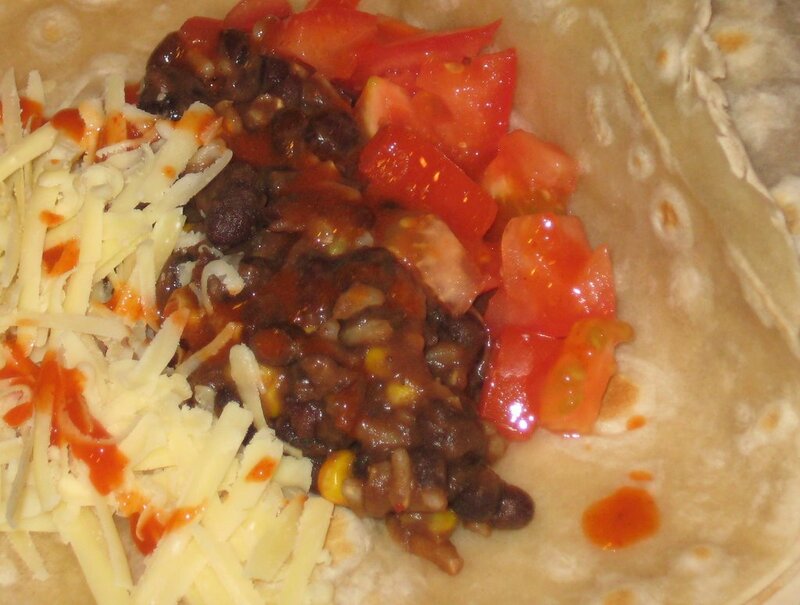 Heat your beans up, toss in some corn, cut up some tomatoes and whatever other fresh veggies you like in your burrito. Add some cheese and maybe cooked rice and you have a meal to satisfy anyone. If you feel you need meat in your burrito add some leftover cooked chicken, pork, thinly sliced steak or cooked up ground meat. Sort through the black beans for any stones or things that don’t look like beans. In a large pot cover the beans with about 2 inches of water. After the beans have soaked drain the water off in a colander. These will take about 4 hours to cook before canning or freezing so start them early enough in the day to finish up. I have really hard water so I use my water filtered through the Brita. I found that the hard water makes the beans take longer to cook. Soak overnight, at least 8 hours. I sometimes forget and my beans are soaking for a day and half because when I realize I put them on it’s too late to start the cooking process that day. On occasion they’ve started to sprout. This has not hurt them. In a large pot heat the grapeseed oil. Add the onions and cook over medium heat until they just start to brown. Add the garlic and peppers and cook for about 2 more minutes. Add the Essence, cumin powder, coriander powder and chipotle peppers and cook for about 30 seconds. Cooking the spices lightly releases the oils and flavors before adding the liquids. Stir in the vegetable broth, tomato sauce and beans. Bring to a boil, then turn down to simmer. Mine cook between 4 and 6 hours. The time depends on your pan and how your stove top cooks. Add salt and pepper to taste. Taste the beans for seasoning and adjust to your taste. When the beans are soft add the lime juice and fresh cilantro. For canning have sterilized pint jars (or whatever size fits your needs) and lids ready and a large pressure canner pot of boiling water. The water will need to cover the jars about 1-2″ for processing. Fill the jars with the beans, wipe the edge of the jars so it’s clean and place a lid on it. Twist the ring on just until finger tight. 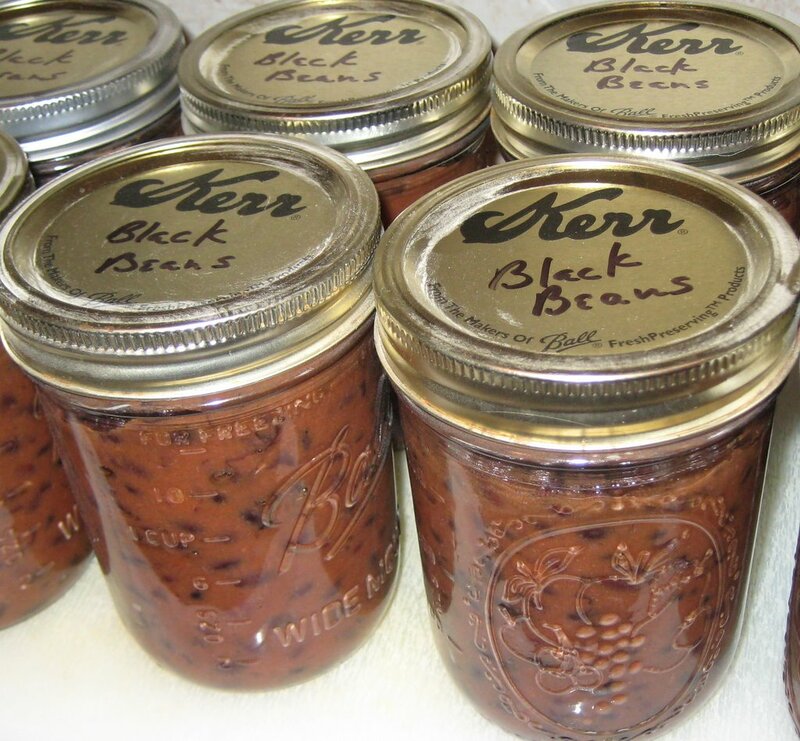 Place filled jars in a pressure canner and process according to canner instructions. Remove them from the water to a towel or acrylic cutting board and let sit. After several hours check for any jars that have not sealed by pushing the middle of the lid. If it pops up when you press the jar is not sealed. Alternatively, you can freeze these beans in containers sized for what you want to use.